We departed at Midnight and into a fair sea state. A bit rolly and swoopy due to no wind to offset the sea state but we cruised south through the night and the next day and arrived finally at the Antarctic Circle timed at 1900. 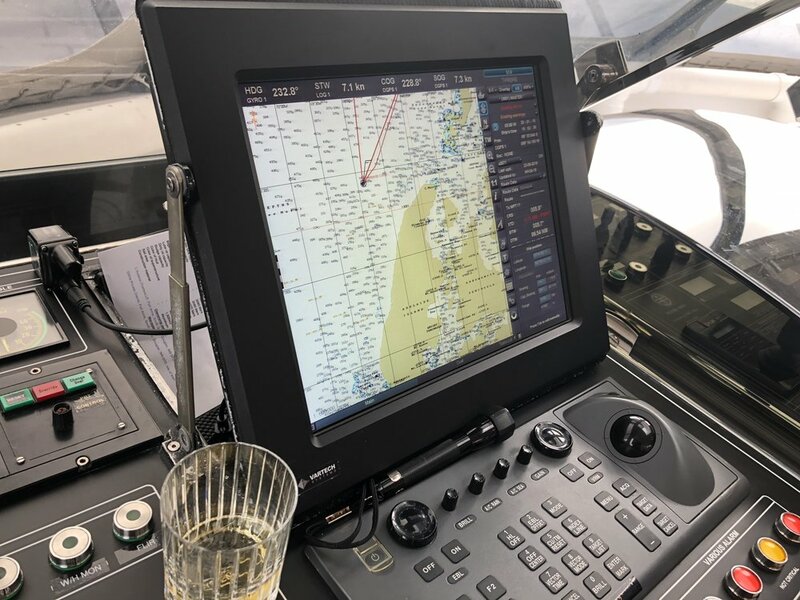 Just in time for a celebration with some Shackleton Whisky (google it) Champagne and a toast for a great achievement.. Dinner South of the Antarctic circle followed.. before we High tailed it Northward towards Cape Horn 680nm away.